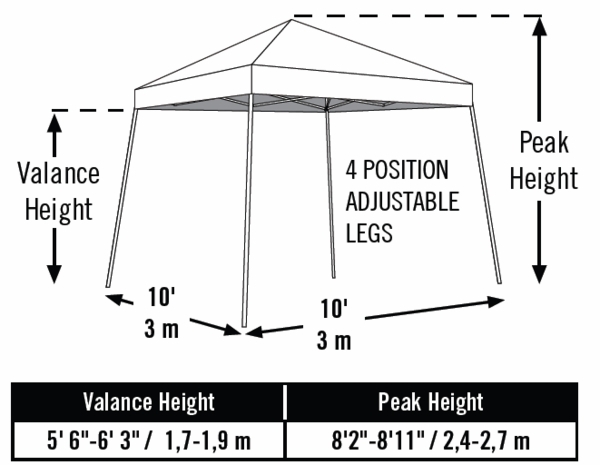 The Shelter Logic 10' x 10' Pop Up Canopy Tent combines shelter, safety, convenience, ease-of-use, and economy in one fantastic package. 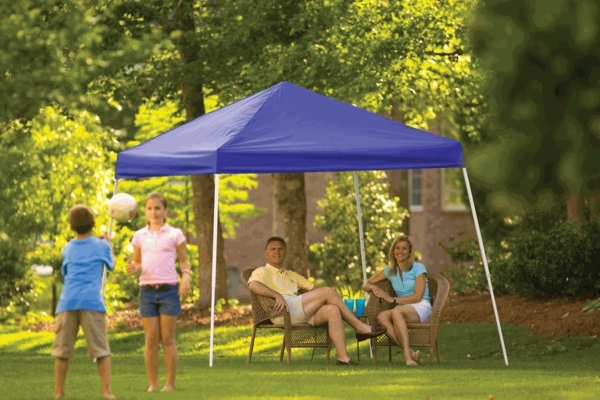 If you need a tent for tailgate parties, cookouts, or entertaining outdoors, then this is the tent for you. Its beam-welded tubular steel frame provides perfect support for the fitted polyester cover. The canopy cover is treated inside and out with fade blockers, anti-aging, and anti-fungal agents. It's steam sealed with waterproof tape, and constructed from heavy-duty, double-stitched polyurethane interior lining. It's easy to take down or set up, and features a sporty slant leg design. The perfect tent for an easy outdoor event, Shelter Logic's Pop Up Tent is a real small wonder. Great canopy at a reasonable price. ProsEasy to put up and store. Very pleased with the quality of this item. Sets up quickly. Thanks for a quick and easy transaction!